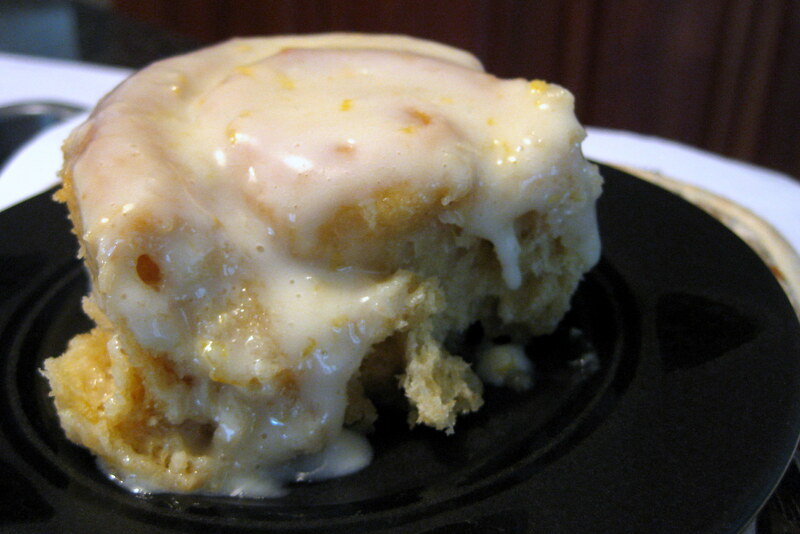 The very first recipe I really ever crafted to call my own was for sticky buns. It was derived from a maple sticky bun recipe in an old issue of Bon Appetit, but I made some significant alterations, and it became my signature masterpiece. But sticky buns aren’t something you can just whip up anytime you’d like, so I reserve that recipe for special occasions. 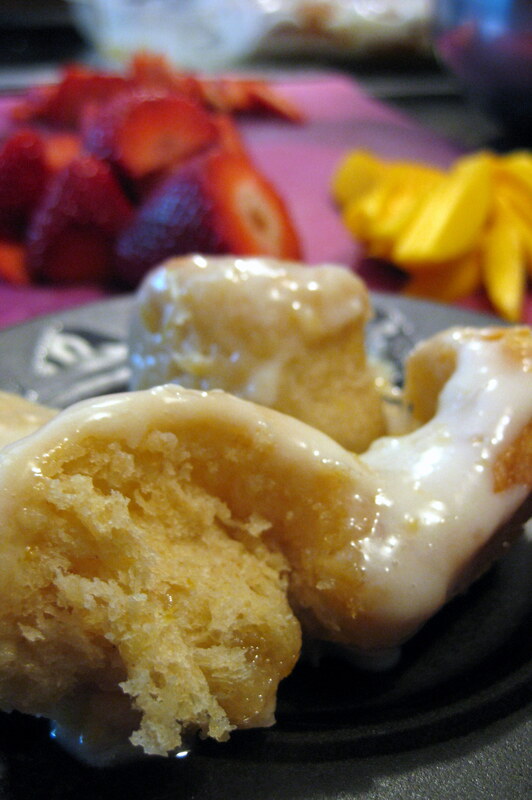 When I came across a recipe on The Kitchn for Sticky Lemon Rolls with Cream Cheese Glaze, I was pretty sure I’d have to wait for a time to make them, where the occasion or consuming parties were worth the effort. Don’t get me wrong – I’d bake for 10 hours a day if I could, but my schedule won’t allow such indulgences, so I have to pick and choose when I put baking first. Well, Easter was the ideal situation. I’d be home with my family and AW, celebrating one of the greatest holidays of the year. 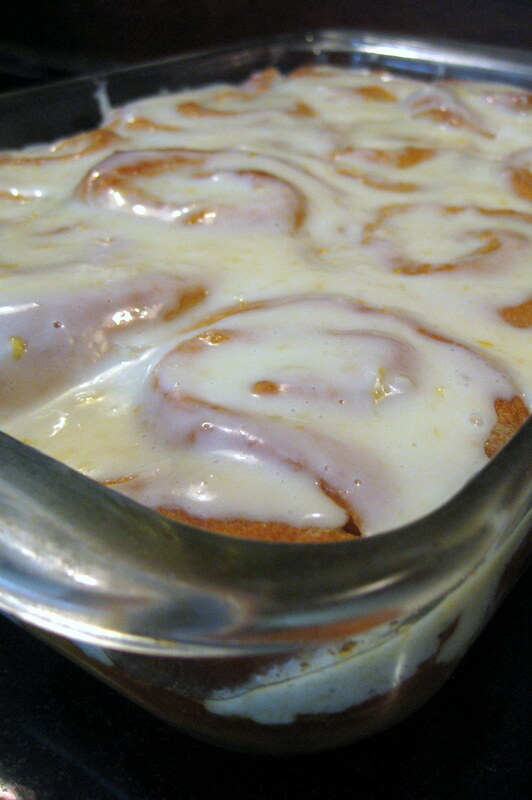 The people and the occasion were special, and so the Lemon Sticky Buns would come to be. I made them and chilled them the night before we were going to eat them, because I didn’t want to have such a lengthy waiting period when we were all good and hungry after Sunday morning church. So after the service, AW and I rushed home to pop them in the oven, and by the time the rest of the family had returned, the rolls were coming out of the oven smelling like something awfully delicious. 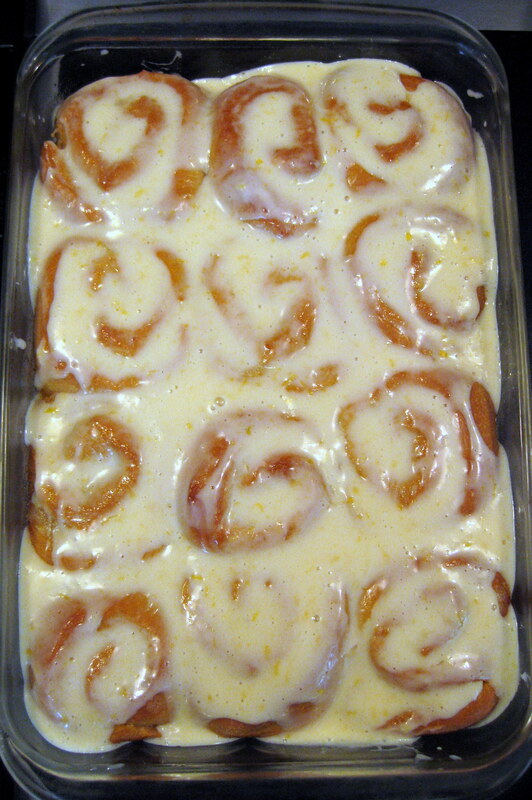 Once smothered with the lemony cream cheese frosting, they looked pretty darn delicious too. Between the five of us, we polished off six very hefty buns, though I’m fairly confident I could have probably eaten another one, maybe even two! 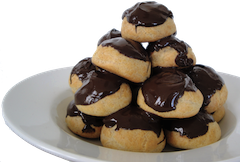 They were absolutely fabulous – more than worth the time and the effort I put in to make them. They were very lemony, but not in an overpowering way – the lemon came at you in several ways: in the dough, subtle and yeasty; in the filling – tart and sugary sweet, and in the creamy cream cheese frosting. THESE WERE SO GOOD. And I substituted some whole wheat flour (as has become my baking habit of late), so I could pretend they were ever so slightly better for me. The dough is kind of like a brioche dough, because you add butter and water to the initial yeast mixture, and I left mine have a cold rise overnight. The dough is very dense and rich, though it puffs up quite nicely in the oven. In the bowl of a stand mixer sprinkle the yeast over the warmed milk and let it sit for a couple of minutes. With the mixer paddle, stir in the softened butter, sugar, vanilla, and one cup of the flour. Stir in the salt, nutmeg, and lemon zest. Stir in the eggs and enough of the remaining flour to make a soft yet sticky dough. With love, and sugar. Please enjoy!